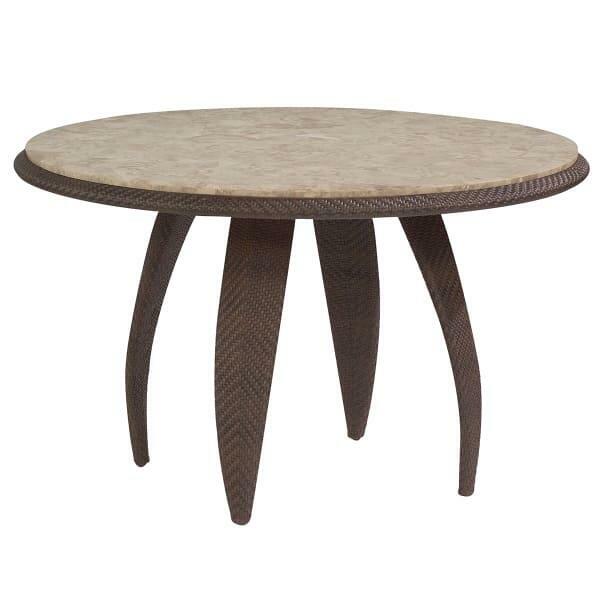 The Bali Dining Collection from Whitecraft by Woodard has a simple, uncomplicated design that has a mid-century modern feel; perfect for anyone who likes a fashion-forward look. Rain, surf, and sun-resistant, the Bali Dining Collection was created to be enjoyed outdoors. 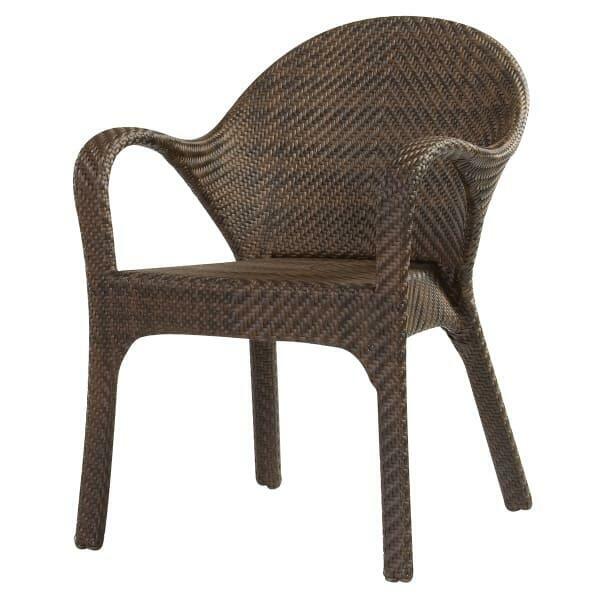 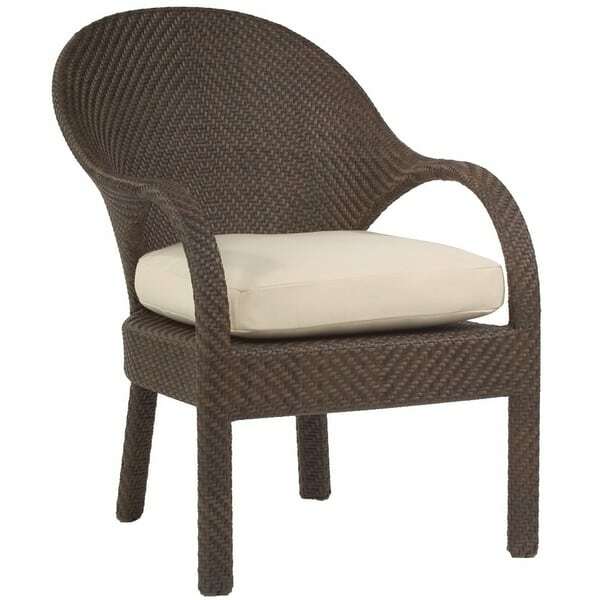 The Bali Dining Collection features aluminum, powder-coated frames topped by a high density polyethylene wicker weave. 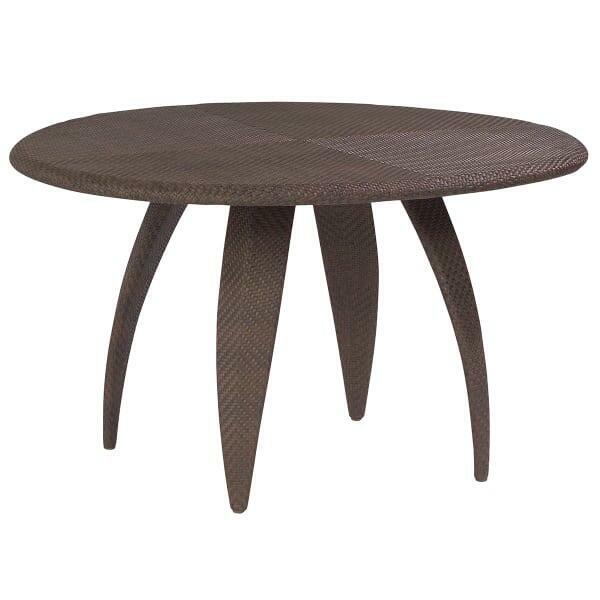 The herringbone pattern is gorgeous in a dark Coffee finish and suits the style beautifully. 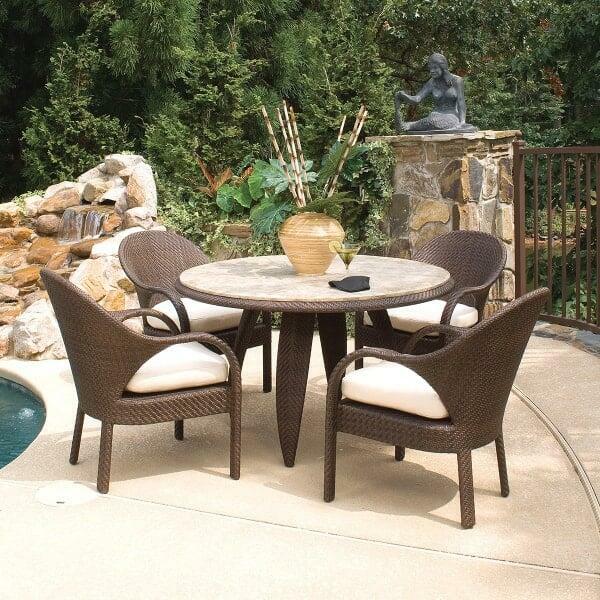 Pair the Bali dining chairs with the stone top dining table for an interesting and sophisticated entertaining option.